At DaVinci Roofscapes, we have the opportunity to work with many architects and designers on a daily basis. 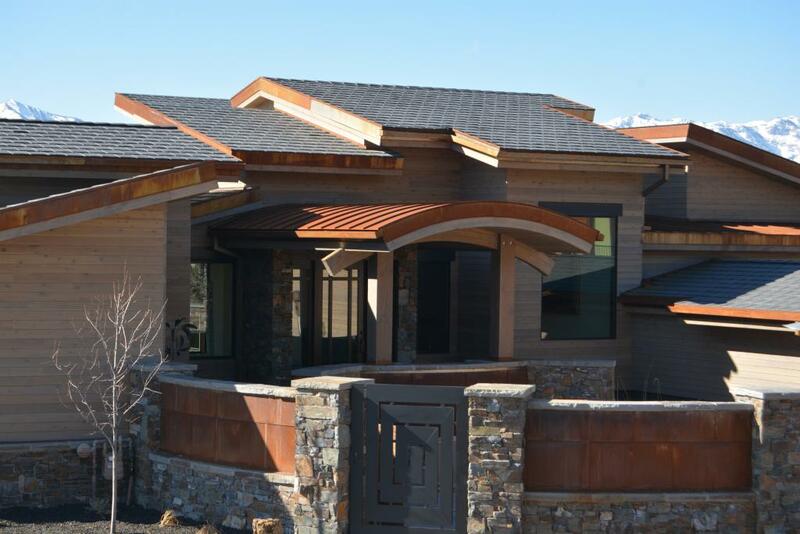 Many of these people, like Kevin Price of Kevin Price Designs in Utah, specify DaVinci polymer roofing again and again on their projects … which is why we want to share their insights with you! Q: Why do you keep including DaVinci polymer roofing material on your home designs? A: First and foremost, I like the way they look. When I look at the versatility of the DaVinci products I know I can always find a style that will fit my needs. The other point about the DaVinci sustainable roofing that makes it easy to sell to clients is its durability. Q: What are the features/benefits of DaVinci products that work best for your geographical setting in Utah? A: The Park City area is a tremendous test for composite roofing products, and DaVinci is the only product I’ve used that has been able to hold up to our severe weather conditions, such as extreme freeze/thaw cycles; ice build-up; high UV light. The latter being especially important, because I’ve seen a lot of other roofing products lose their color and eventually look cheap. DaVinci is the only synthetic roofing material I specify. Q: What have the reactions been of your homeowner clients to your recommendations of the DaVinci imitation slate and composite shake products? A: My clients are always very complimentary of the DaVinci products. Clearly, the DaVinci products cost a little more than other products that will not hold up as well, but I’ve never had a client come back to me and say they wish they hadn’t spent that extra money on the roof – quite the contrary, when they see their neighbor’s roofs start to lose their color or see their neighbor’s asphalt roofs start to look a little cheap as time goes by, they often comment to me that they are so glad I specified the DaVinci product. They almost wear it as a badge of pride. Q: What insights would you share with other designers and architects about specifying DaVinci green roofing materials? A: Designers and architects need to become familiar enough with the DaVinci products to be able to convince their clients of its superiority over cheaper alternatives. This roof is an investment for the future and for homeowner peace-of-mind. Overall, the DaVinci designer roofs make me look good, because they put a refined edge on my homes that no other roofing material can emulate. Designer Shakes Up Utah Roofs gives more details on Kevin’s love of lightweight tiles for the roof from DaVinci!